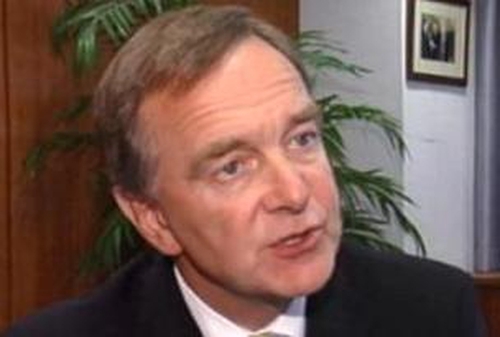 The board of Aer Lingus has rejected Ryanair's proposed offer for the company. Following a board meeting this afternoon, Chairman John Sharman described the Ryanair bid as 'unsolicited' and 'opportunistic'. Ryanair has told the stock exchange that it has now increased its stake in Aer Lingus to 19.2%, having bought another 16.5 million shares in the airline today. This morning, Ryanair said it had built up a 16% stake in Aer Lingus and planned to make a cash offer to buy up all the available shares. Speaking during a special Dáil debate on the matter this afternoon, the Minister for Transport said the Government would not sell its 28% cent holding in Aer Lingus. Mr Cullen said that what Ryanair was trying to do in effect was create a monopoly in the aviation sector in this country and that he and the Government view the matter very seriously. A spokesperson for the EU's Environment Commissioner has said that any proposed merger of Ryanair and Aer Lingus would be examined to establish its effect on consumers and on competition in the market place. The spokesperson said it was for Ryanair to decide which authority it needs to notify. The Dáil was suspended earlier in a row over the announcement. Opposition TDs had demanded time to debate the bid while the Taoiseach, Bertie Ahern, insisted it would have to wait until next week. Mr Ahern said the Ryanair move on Aer Lingus was unexpected and it was a matter for the board of the airline to examine it. He said it would need regulatory clearance from either the Irish authorities or the European Commission. The General President of SIPTU, Jack O'Connor, has criticised the development, saying there were questions about how Ryanair's purchase of Aer Lingus shares was allowed to happen. He said it would do the opposite of improving competition. Aer Lingus shares soared by 15% to stand at €2.89 in Dublin this afternoon. Ryanair shares rose by 15 cent to €8.85. The Minister for Finance, Brian Cowen, has also said that the Government will not sell its shares, stating that the Government remains fully and firmly committed to competition in aviation markets. Speaking earlier, Ryanair's Chief Executive Michael O'Leary said the offer represented an opportunity to form a 'strong airline group for Ireland and for European consumers'. The airline said it would make an all-cash offer of €2.80 per share. 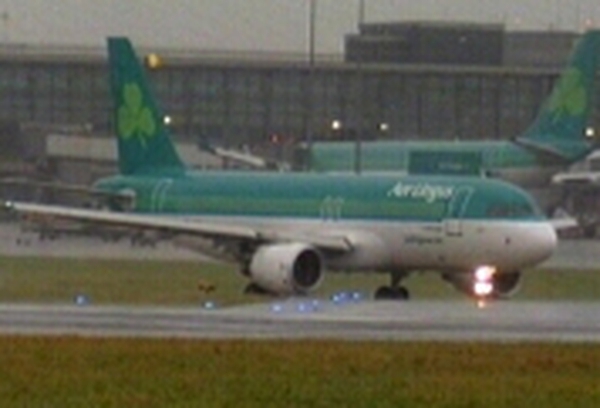 It said the offer was conditional on it acquiring at least a majority of the shares in Aer Lingus. If the deal went ahead, Aer Lingus and Ryanair would have more than 70% of Ireland's short haul market. Speaking on RTÉ Radio's Morning Ireland, Mr O'Leary said it was a unique opportunity to put the two leading Irish airlines together in one strong Irish airline group which would be able to compete with the likes of Lufthansa, KLM and British Airways. He said that, while Ryanair had made an offer for 100% of the company, he would be happy to get a majority of 50.1% and would be happy to work alongside the Government, which holds 25%. Mr O'Leary added that any union arrangements existing in Aer Lingus would stay there, while Ryanair would continue its own direct negotiations policy. He said he would have no difficulty in talking to union leaders, but added that Aer Lingus management would continue in its own right.